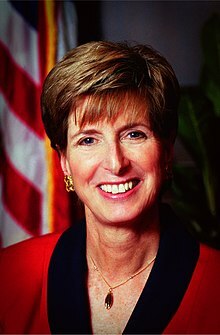 Christine Todd "Christie" Whitman (born September 26, 1946) is an American Republican politician and author, who served as the 50th Governor of New Jersey and was the Administrator of the Environmental Protection Agency in the administration of President George W. Bush. When you’re dealing with people who think that Sponge Bob Square Pants is more important than social security, you have a problem. This page was last edited on 17 March 2019, at 16:38.